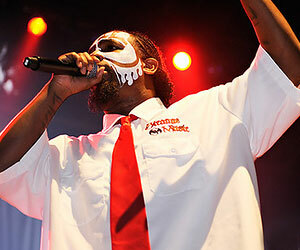 Browsing through the Tech N9ne forums and social sites, an individual may become confused as to what they see. Disagreements and outright fighting seem to be common all over the Tech N9ne world. The words are beginning to grow into their own entity. Fans are in a state of chaos amongst themselves and it all appears to be over Tech N9ne’s growing popularity. With Tech N9ne’s planned collaborations with Lil Wayne and DJ Whoo Kid, it’s hard to argue that he isn’t a hot commodity. Tech’s popularity is expanding, now more than ever. The rapper has always had one goal: infection. He wants the world to enjoy his music, and mainstream or not, he wants success. With that in mind, how is it that the fans don’t share the same enthusiasm? Tech N9ne is known for having a very loyal fan base. Most rappers would think it was bizarre the way people react to his music. Strange Music shows are full of the most unique and interesting people I have ever seen. One visit to therealtechn9ne.com and you can see what this music means to them. These fans discuss everything from Tech’s next album to his family life. Nothing is really off limits to them. They feel a real connection to not just the music but the man himself. Many of the fans pride themselves in Tech’s independent hustle. The fact that he is unknown to a large portion of the population is like a badge they proudly wear. They can walk around and say, “This is MY favorite rapper.” This is where things get a little tricky. We all like the fact that Tech N9ne is not as big as Jay-Z or Kanye West. It is not because we don’t want him to succeed, but many of us still feel “special.” You know, the kind of special you feel when you have something no one else does. It’s like when you were younger and you had a toy that no one else had: you felt special because you had this thing that everyone thought was cool but no one else had yet. Then once everyone got in on the action, it just wasn’t as special anymore and your connection to it didn’t mean as much as it used to. That’s what I believe Tech N9ne fans are feeling right now. 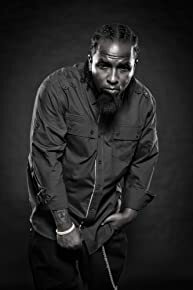 Some are very happy to see Tech N9ne succeed and want him to continue to prosper. Even so, they feel a little disheartened at the thought of EVERYONE all of a sudden jumping on the Tech N9ne wagon. Other fans have been much more vocal. These are the fans who feel outright betrayed by Tech’s sudden popularity, so much so that they have turned it into hatred for the Lil Wayne collaboration. Tech N9ne himself has addressed the situation time after time. I suppose that when you have your fans so close to you, eventually you will hear everything. I can’t imagine what it must be like for Tech N9ne when he has to read things like, “Tech and Strange are playing us for fools, and we are falling for it”. It is absolutely no wonder that once in a while, he will respond to these fans himself. There is a reason why we all listen to Tech N9ne: the man has undeniable, raw, precise talent. None of his fans argue that point. There is also an experience that goes along with Tech N9ne’s music. The experience of being able to introduce more and more people to his music. We are all accustomed to the majority of people not knowing who he is. The fun in that, is that we can pull out our Tech N9ne cds and help spread awareness. It is like pulling out our very special toy and showing it off to our friends. We can show it off, borrow it out, but at the end of the day, it still remains ours. So, in the face of the mainstream, many of us feel like our special connection to Tech N9ne will be lost. We feel like if he starts doing songs with Lil Wayne, that might lead to a song with Kanye West. 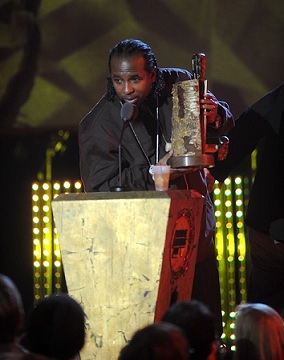 Once he works with Kanye, he might work with someone like Lady Gaga. Deeper and deeper into the world of popular music. Then, our independent, underground rapper won’t be ours anymore. I think, some fans need to let go of their selfish needs. There is no “underground” or “mainstream,” there is only music. That is what Tech N9ne is trying to convey to all of his fans. It does not matter where you place him in the spectrum of popularity, he will always be the same Tech N9ne. The music will not change, and neither will his devotion to his fans. Instead of attacking his decisions and feeling like he’s leaving people behind, why not celebrate all of his success? Be proud that you were there first, but also be proud to bring more people into all of this. I think it’s time we shared our little secret with the world.